This is one of the Bridges of Madison County. 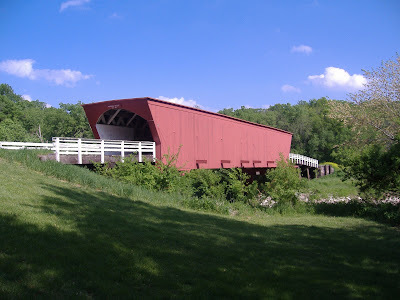 We can't wait to explore all the covered bridges in this nearby county...such a hidden treasure in the middle of Iowa! Oh my gosh this is great - I am very jealous! I did the same thing when I was pregnant with Bailey. But the only thing I know is to prop your feet up and drink lots of water! Gecmis olsun! Best advice for pretty toes: Go get a really nice SPA PEDICURE! Mark gave me one for mom's day and my legs and feet haven't felt that good in weeks!